Shortlisted at HRH THE DUKE OF EDINBURGH ENGLISH LANGUAGE BOOK AWARDS 2013 Develop key listening skills and become more confident when listening to English, however it is spoken. To improve your listening skills, you need to hear real conversations. That's why Collins Listening (A2) is based entirely on 20 authentic recordings. It will help you understand what is said to you in a variety of situations, and make sure everything you learn is useful. 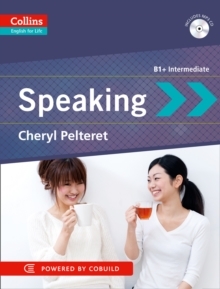 Practise listening to real English in a range of accents by native and non-native speakers. Hear people talking about: * Family * Where they live * Work, studies and career * Life in a town, city or another country * Sharing a house * Music and sport * Travel and tourism * Collins Listening (A2) includes:* Twenty units with a clear design in full colour. * Authentic downloadable audio recordings of both native and non-native speakers of English, covering a wide variety of accents from around the world. 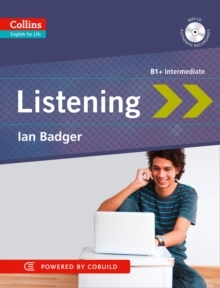 * Appendices containing detailed advice targeting specific listening skills. * Mini-dictionary with definitions of the most difficult words in each unit, taken from the Collins COBUILD dictionary. * Answer key. 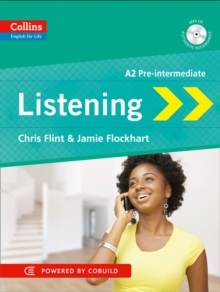 Collins Listening (A2) is part of the English for Life series. 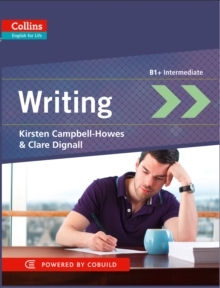 It is suitable for self-study and classroom use, and can help towards Cambridge ESOL KET exam preparation. 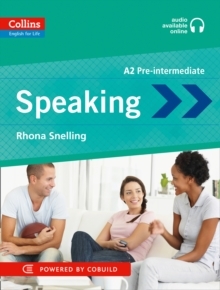 Suitable for pre-intermediate learners of English (CEF level A2). The English for Life series uses authentic material from the Collins Corpus.